* This quality-made ALOGIC cable delivers a crisp, clear audio/video signal for less. 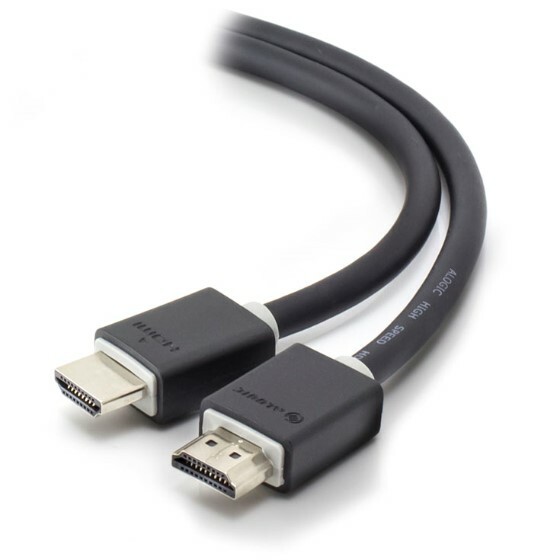 * This cable type offers the same baseline performance as the High Speed HDMI Cable, plus an additional, dedicated data channel, known as the HDMI Ethernet Channel, for device networking. * HDMI Ethernet Channel functionality is only available if both linked devices are HDMI Ethernet Channel-enabled.